I had plans for a longer MoFo post today, but then our house caught fire last night, and I’ve spent the day being a little distracted by that. To celebrate still being alive, we went to Cosset with friends for brunch. 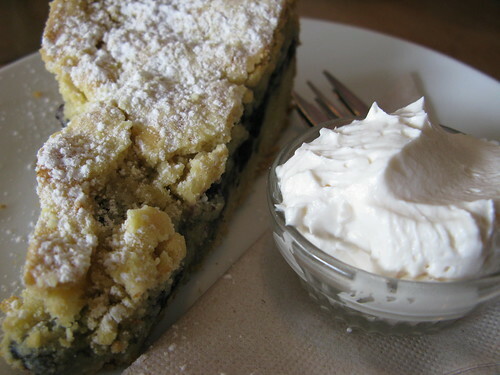 I had the beans for brunch, then this slice of blueberry cake with soy cream for dessert. It was just the thing.